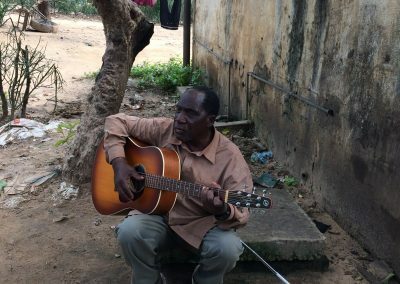 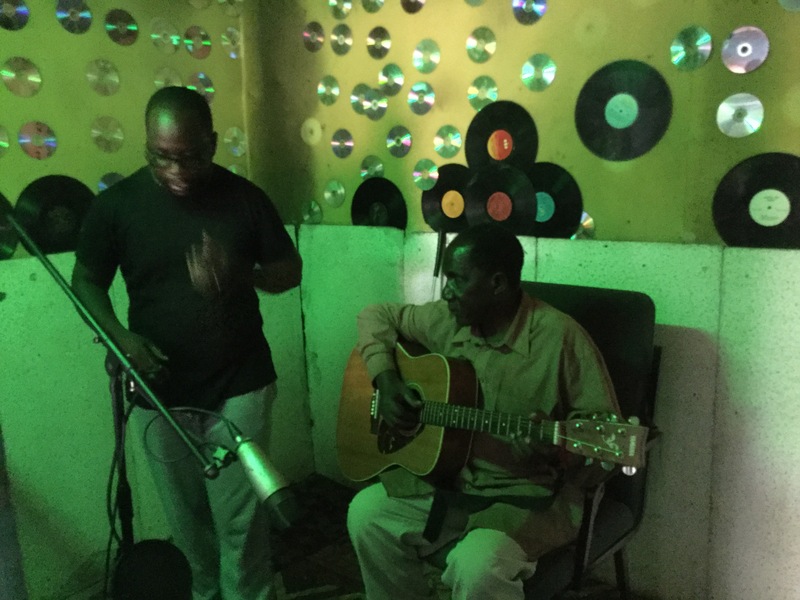 On our return to Zambia in 2017, Zambezi Sunrise arranged the recording of an album of Clement’s songs. 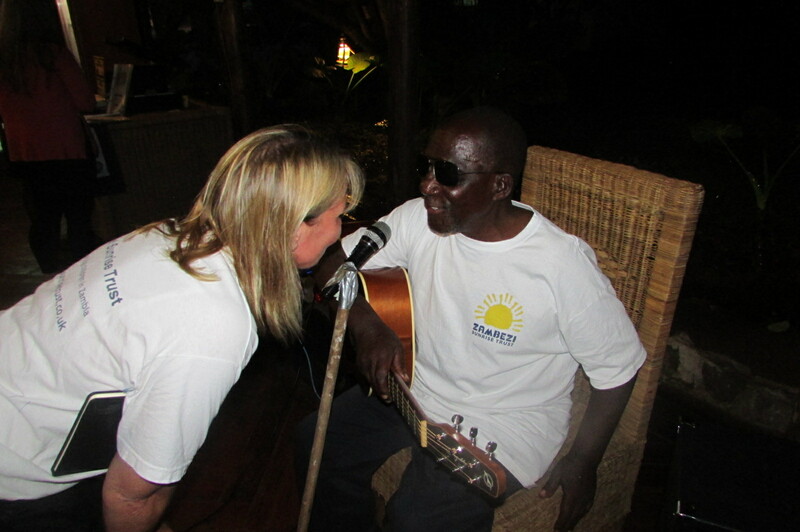 This was funded through a special discrete appeal in which supporters were able to sponsor one of the 10 tunes. 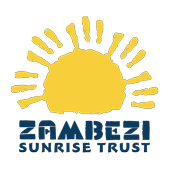 ‘Blessings’ was duly recorded and launched at a special event in Livingstone attended by others in the Zambezi Sunrise family and the volunteer community. 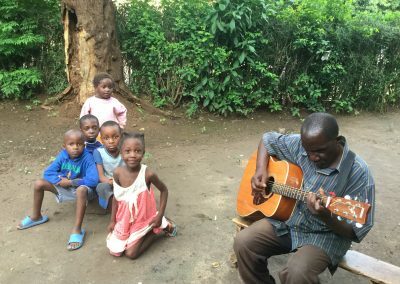 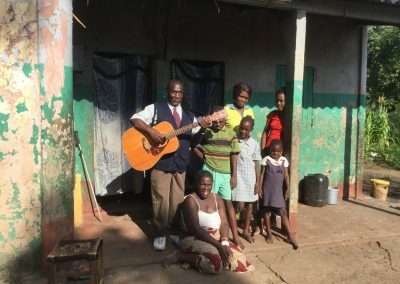 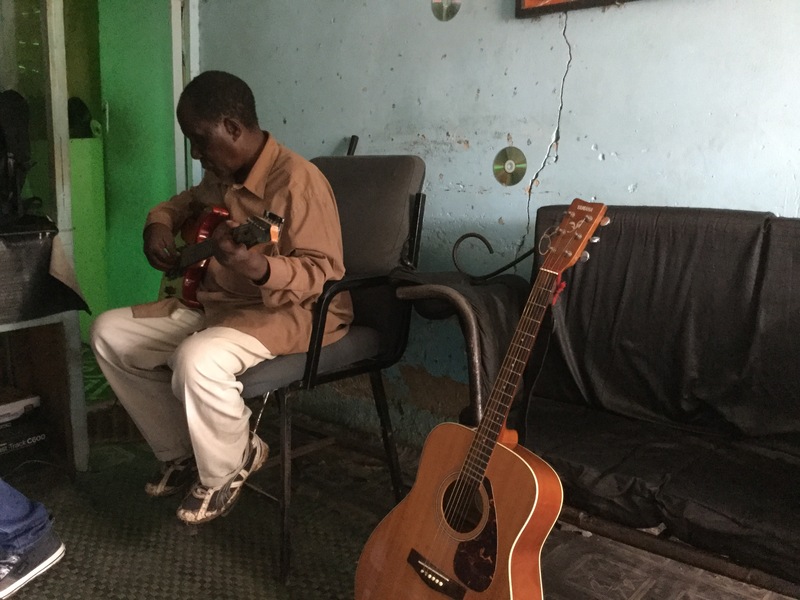 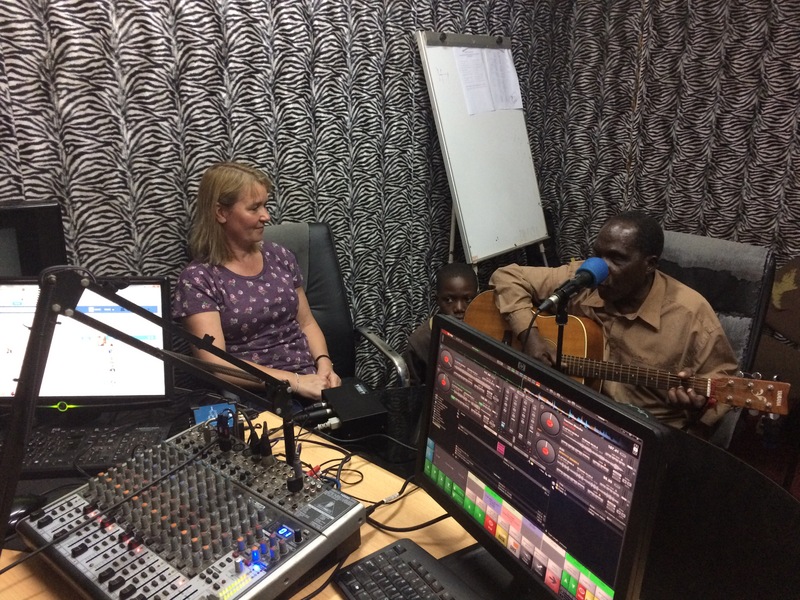 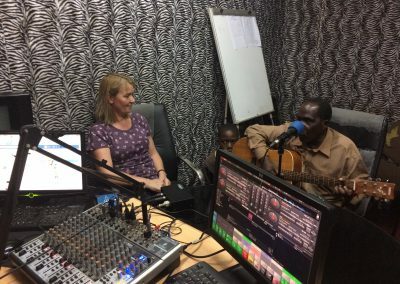 Both he and one of our trustees, Joanne, were interviewed on local radio station Zambezi FM about his story and the album. 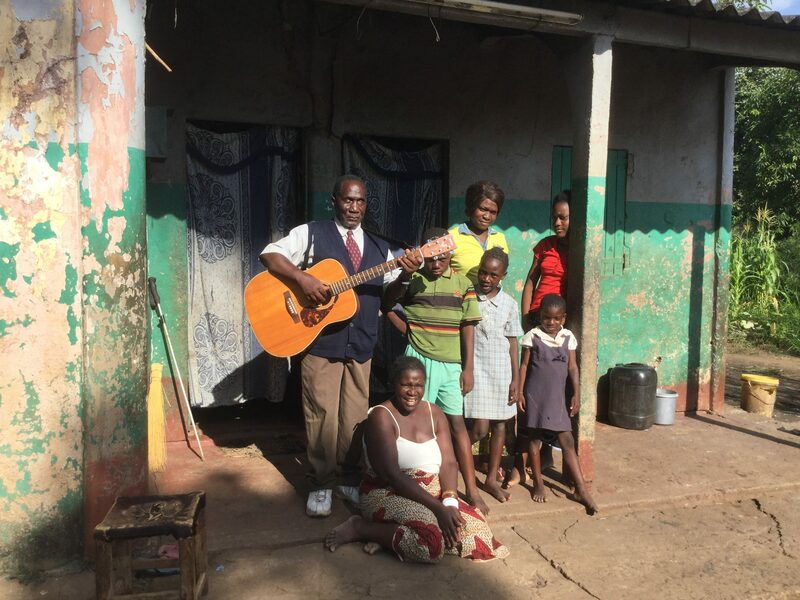 The sale of ‘Blessings’ has enabled Clement to have some financial security as he provides for his family in Linda compound. 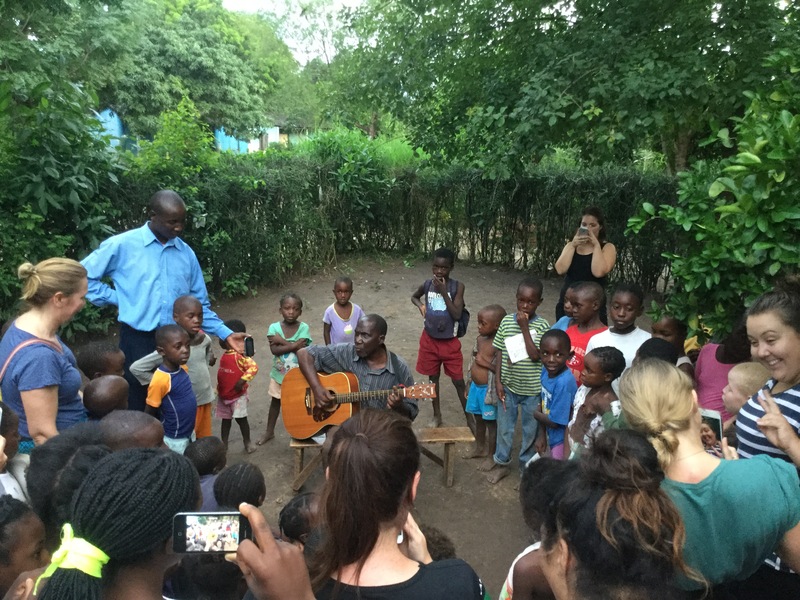 One of his children attends Linda Community School – one of the schools that we support. Clement can still sometimes be found entertaining the children and volunteers who support Linda Sunrise Homework Club. 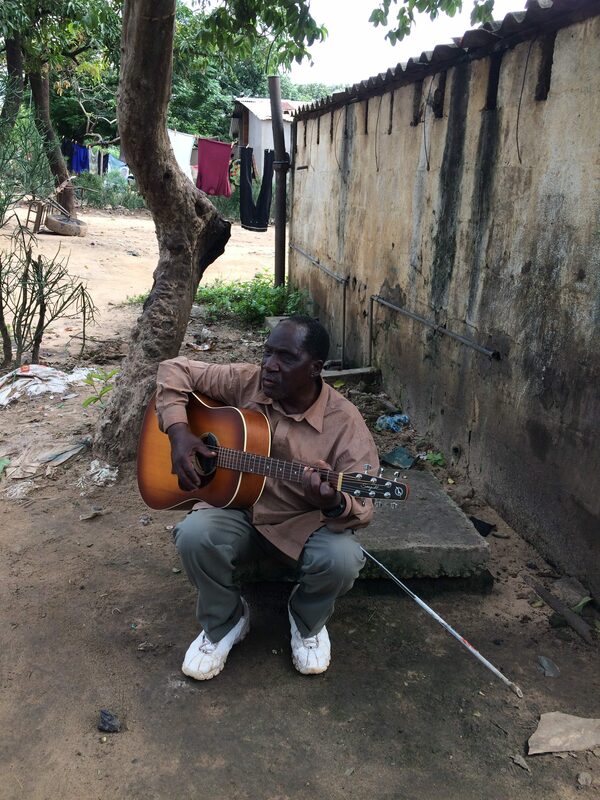 If anyone would like to purchase a copy of ‘Blessings’ please contact us for details.